At times we need to take timed screenshots on Mac. 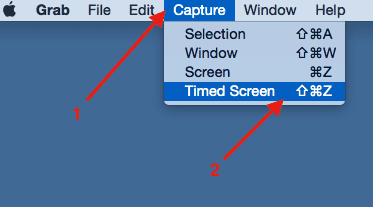 Here are two approaches we can use to take timed screenshot on Mac. Steps to take screenshot using Grab. 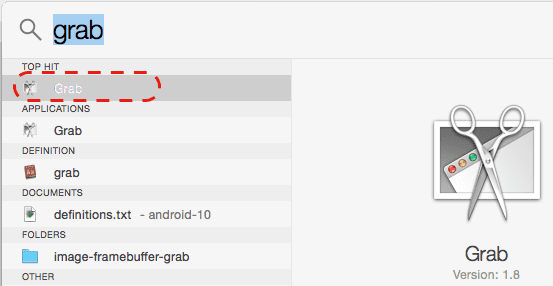 Find grab application in Mac spotlight search and click on it. Select Capture Menu and click on Timed capture. In Timed screen grab window, click on “Start Timer”. Now screenshot will be taken after 10 seconds. Once you hear screenshot sound, the screenshot picture will appear. Click on Grab File > Save menu to save it. Note that it will be saved in tiff format and later you can convert it to png of some other format using preview. screenshot.png will be generated in current directory. screencapture can take screenshot in few other formats like pdf, jpg, tiff also using -t option.